SureBuild LLC. (SureBuild Construction) is a Licensed, Bonded and Insured Residential/Commercial Roofing and General Contractor. 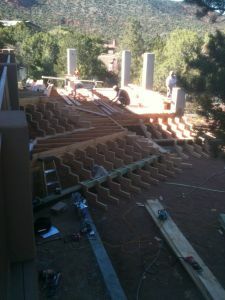 Scott Graham, the owner, has 40 years of contracting and building experience all the way from Alaska to Arizona. 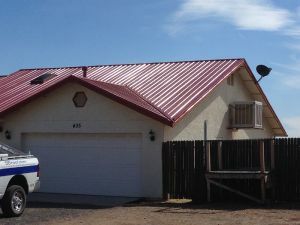 Covering Arizona with new roofs in our business. We pride ourselves on "Roofs Built Right." "I just wanted to thank all of you at SureBuild for getting on top (literally) of our roof problem and solving it last Monday. Clark and Tom are two of the hardest working guys I've seen. Special thanks to them." 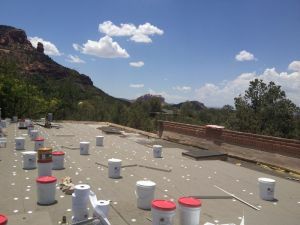 Installing a new roof, replacing an old roof, or simply fixing a leak... we've got you covered! We offer a full line of products to meet all of your commercial roofing needs. No matter what your commercial roof requires, we can help you from new construction to re-roofs to general maintenance and repairs. We offer a variety of low slope and shingle products. For metal roofing, we offer a wide selection of standing seam and panel profiles in commercial thickness. For your coating needs, we are approved applicators of KM Coatings. We offer 24/7 service calls to meet all of your commercial roofing problems.